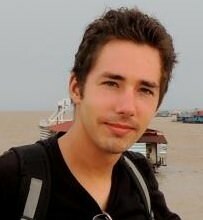 Since I’ve come to Thailand, one of my missions has been to see a monkey. That dream finally came true within two hours of arriving in Lopburi. 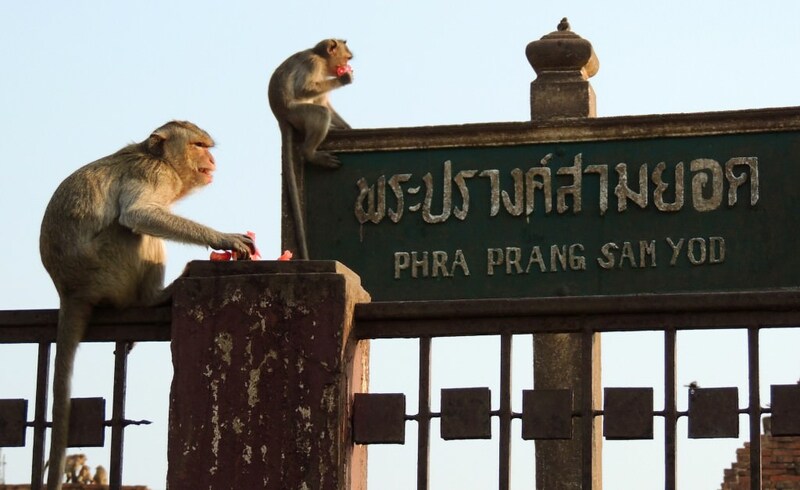 I read that this was one of the cities to visit to see the Siamese ruins from the 1600s, but I also learned that this town is known for the monkeys that roam the streets and call one of the area wats their home. It was 7 a.m. The sun was shining, and it was already more than 90 degrees outside. Vendors were getting their shops ready for the day. That’s when I saw them. Monkeys will hop on your back if you let them. Just make sure you don’t have anything they can grab, or it will be stolen. Monkeys scurried down telephone poles, hung effortlessly from electrical wires and ran through the streets looking for fruit or any other form of stray food. When I write “monkeys,” I don’t mean 10 monkeys. There are easily at least 200 monkeys living within a square block in this city. They are everywhere. I stopped and shot pictures of them. I watched as shop owners came out with sticks to try and get them to go away. I would learn later why this is necessary. 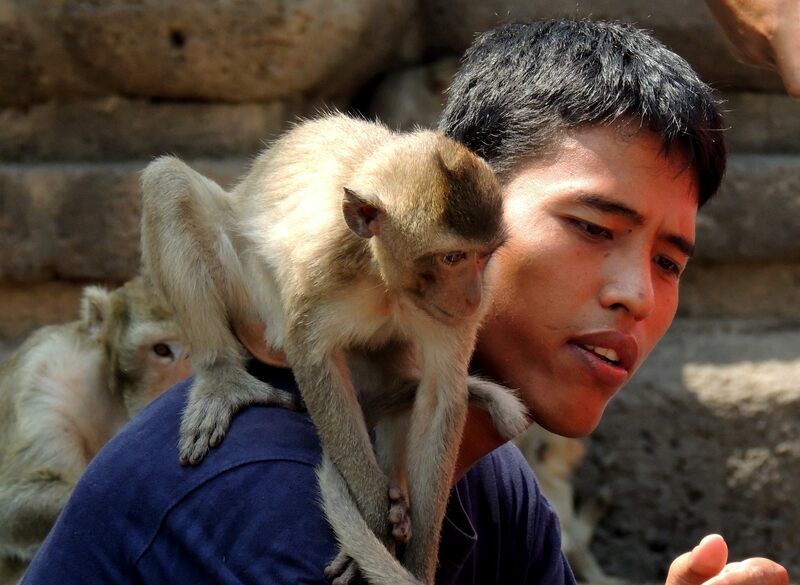 Monkeys are crafty creatures, and they will team up to steal water bottles, cameras or other objects from you. I walked across the street to Prang Sam Yot. A group of locals tossed out fruit. The monkeys would run, take the food and run back to safety near the fence. As I approached, I smiled as I saw these animals at work. I set down my water bottle. That’s when I saw a monkey approaching. You’ll see monkeys about a block before reaching this temple in Lopburi. It was cautious, but certainly not afraid of me. Every time I would take a picture, the monkey would get closer to my water bottle. As soon as I realized what the monkey was after, I moved it back. That’s when the monkey turned into another direction to possibly try and steal from someone else. I snapped more pictures when I felt a light pressure on my bag pushing me down. “Hey!” I shouted as I tried to understand what was happening. I swung my arms and saw that monkey jump from my backpack back onto the ground. This was just the beginning. The next time it happened, I was caught off guard. I dropped my water bottle and tried the same tactic. The monkey wouldn’t move. In fact, it’s mouth was open, and my hand may have been in contact with its teeth. It was all so fast, so I don’t quite remember, but no skin was broken. So, I’m OK. This was a monkey who looks cute and innocent, but was actually planning to steal my water bottle and jump on my back. I approached the nearby railroad crossing, but within a few steps, the monkey hopped off. 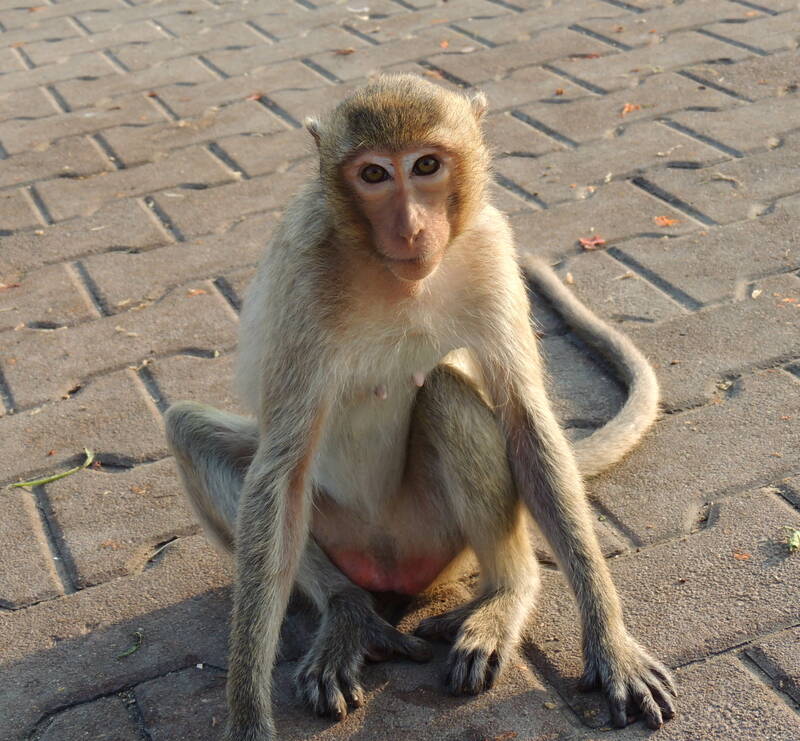 So a word of advice if you do get attacked by a monkey in Lopburi. Just walk away from the monkey’s home, and it should leave you alone.